The Quarter-Finals of our Best Dungeon tournament continue with a new match-up. As Earth Temple and Ancient Cistern clash in yesterday’s poll, we now turn to the best dungeons of A Link Between Worlds and Breath of the Wild. This bout could go either way, so let’s get started. Thieves’ Hideout earned a modest win in our A Link Between Worlds poll, and continued to build up steam in Round 1 against Zelda II‘s Great Palace. Fans are clearly starting to rally behind the burglar-ish den. With so many unique gameplay and atmospheric elements holding this dungeon up, we can definitely see the momentum carrying Thieves’ Hideout to another victory in this quarter-final bout. That would not only be a win for A Link Between Worlds, but for all traditional top-down Zelda games as well. Despite the protestations of a few fans, Hyrule Castle has made quite a name for itself in the tournament so far. It garnered more votes than nearly all other dungeons in Round 0, and it continued its dominance against Oracle of Ages‘ Mermaid’s Cave in Round 1. 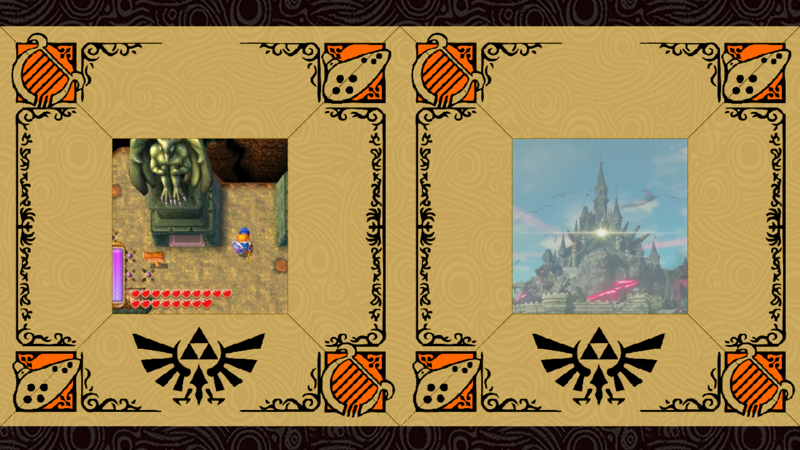 Hyrule Castle still has much to prove, as its nontraditional layout and design will now be tested against series’ favorites. But after such a string of strong victories, Hyrule Castle can conceivably topple any challenge it comes up against. We will post a new Quarter-Finals voting page each day, Monday through Thursday. On Friday, we will post a wrap-up article explaining the results of the Quarter-Finals. Once voting pages for all Quarter-Finals bouts have been posted, there will be a one-week break before the Semi-Finals begin.